One of the special way you can use to appreciate hard work of your beloved one is by sending a congratulation message for achievement. 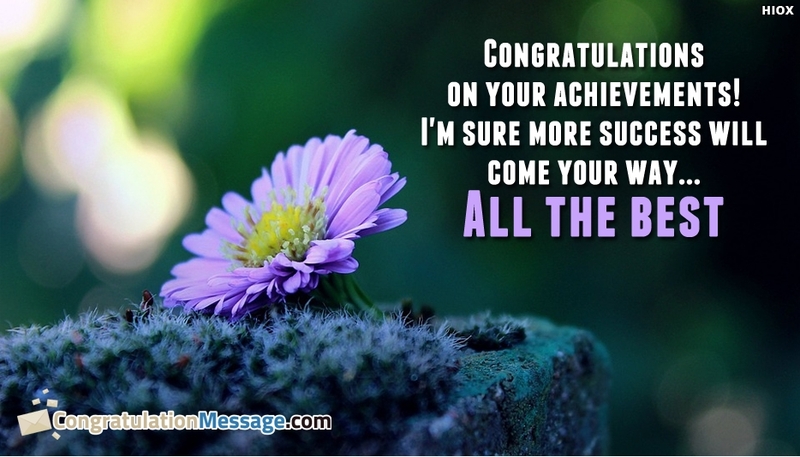 Use this congratulation card with a message "Congratulations On Your Achievements! I'm Sure More Success Will Come Your Way...All The Best" to not only appreciate but to also encourage them to continue getting better. Make them understand how you recognize their work and their efforts to reach that.